Superior Septic Services is ready to schedule your septic inspection in Everett. Although winter might still have some tricks up its sleeve, Ground Hog Day is the turning point for winter in the northern hemisphere. There isn’t much snow to melt in many places, but the first spring green starting to sprout, and the buds on the trees are starting to swell. Extra groundwater can mean extra challenges for your home sanitation system. Spring is a good time for cleaning, clearing and repairing all sorts of things. Getting your septic tank inspected early allows you to have peace of mind knowing that you have one yearly chore off your home maintenance and repair list. If you have a septic system with a pump, it needs to be inspected yearly. Gravity feed systems require inspection every three years. 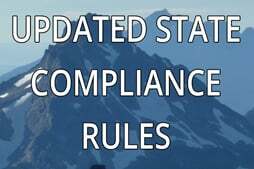 Not only is an inspection the legal thing to do, it is practical, as well. It is a good way to discover needed repairs and catch them before they can develop into a hazard. Keeping your septic system in good repair can also save money on potential legal complications resulting from a variety of potential problems. No one needs to start off a beautiful summer with septic problems. Superior Septic Services is ready to schedule your septic inspection in Everett, just call us at (425)905-2485. 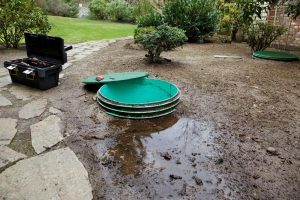 Our team is appropriately licensed and trained to take care of all your septic tank requirements, from inspections to troubleshooting, repairs and even installation if that is what is required. Our people are professional and courteous. We have live consultation available twenty-four hours a day, seven days a week to help solve your sanitation problems. We can often get to you with same-day service. We understand the importance of a properly functioning septic system.